Welcome to Tablescape Thursday! As promised, I am sharing more inspiration for your Thanksgiving holiday. I can’t believe that the big day is almost here. Today, I am featuring a Thanksgiving inspired tablescape with lots of rich color, and the star of the setting is my favorite turkey plates. For the underpinning of the table, I chose my favorite lace tablecloth. Each place setting is accented with a burlap placemat. I chose to mix up the place setting by using several different china patterns. The teacups and serving pieces are Limoges, and belonged to my great grandmother. She was married in 1915 so these pieces are over one hundred years old…what a treasure! For the centerpiece, I simply purchased some Fall flowers at the market and placed them in a pretty green pitcher. I perched the pitcher on a Limoges platter along with a matching sugar and creamer. Pine cones were sprinkled in for an added Fall touch. Flanking the centerpiece are antique brass candlestick holders with red candles and ruffled Limoges bowls with greenery topped off with Fall pumpkins and gourds. Beautiful Fall berries are scattered throughout the table for an added pop of color. The plate stack consists of a gold charger plate, Mikasa English Countryside Dinner plate, and my favorite turkey plate, Queen’s Majesty. I do adore them so! Thanks for stopping by today! I hope that I have inspired you with your Thanksgiving tables. Be sure to stop by Monday. I will be participating in a Holiday Recipe Blog Hop that I am sure you won’t want to miss. You will find lots of wonderful inspiration and recipes for your holiday entertaining. Have a great Thursday, my friends!!! Shannon, what a beautiful tablescape. The Limoges serving pieces that belonged to your great grandmother are certainly a precious treasure and are so pretty! Love the turkey plates! Thank you for the sweet comment, Pam! I tend to mix the Limoges pieces in with a lot of my tablescapes. They just go so well with many different looks. I’m so happy that you stopped by, and I hope that you have a happy Friday!!! Such a pretty table and I love those turkey plates!! Thank you, Chloe! I am always excited to be able to use my turkey plates…I love them! I hope that you have a happy Friday!!! Shannon, I know your great grandmother would be so proud of you. 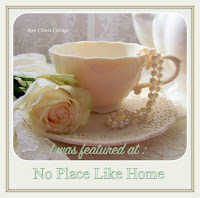 Her Limoges china pieces of hers are gorgeous and so special to use. Love your turkey plates too. You do such a good job on your tables. Thank you, Bonnie! You are so sweet! I tend to use the Limoges china pieces a lot. They go well with so many different tablescapes. I’m so happy that you stopped by, and I hope that you have a happy Friday and a wonderful weekend!!! Thank you, Jenna! I hope that you have a happy Friday and a wonderful weekend!!! Thank you, Mary, for the sweet and kind words. How wonderful to have Limoges china pieces that belonged to your Great Aunt! I know that you must really treasure them. I’m so happy that you stopped by, and I hope that you have a happy Friday and a wonderful weekend!!! Cherry Kay, thank you for such sweet and kind words. I do so treasure my family heirlooms! They mean a lot to me. I’m so happy that you stopped by, and I hope that you have a happy Friday and a wonderful and blessed weekend!!! This is beautiful Shannon! Love the turkey plates and of course the beautiful Limoges pieces. The green vase enhances the beauty of the flowers. Thank you so much, Liz, for such a sweet compliment! I hope that you have a happy Friday and a wonderful weekend!!! Thank you, Angelina! I hope that you have a great Monday!!! A wonderful presentation and inviting table! The red details bring out those muted shades of brown…well done! Thank you, Nancy, for your kind and sweet comment! I’m so happy that you stopped by, and I hope that you have a wonderful Monday!!! Shannon you did it again ! Your table for Thanksgiving is lovely and your turkey plates are my fav., but of course your Limoges pieces are lovely too. I also love your gorgeous table topper. Thank you, Fabby! You always leave the sweetest comments! I’m so happy that you stopped by, and I hope that you have a great week!!! Thank you, Sandra! I am always excited to get the turkey plates out each year. They are one of my favorites. I hope that you are having a great day!!! Lovely table setting… glasses, dishes, flatware, napkins, placemats, chargers, and a lovely centerpiece. My table settings always seem to lack one or more of the totally put-together table decor you created. Thank you, Judith, for the sweet and kind words. I hope that you have a happy and blessed Thanksgiving!! !